There are multiple artists with this name: 1. A jazz rock band from the United States 2. A Christian metal band 3. A eurodance group 4. A pop group from Japan 5. A guitarist from Idaho, United States 6. The recording alias of Michael DiMartino 7. A musical group who has release multiple EPs 8. 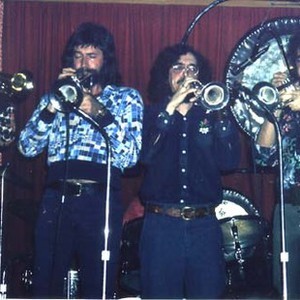 A rapper for Australia 1) Bill Chase was a virtuostic trumpet player who played in the Buddy Rich Big Band and later led his own jazz-rock group "Chase". He and most of his band were tragically killed in a plane crash. 1) Bill Chase was a virtuostic trumpet player who played in the Buddy Rich Big Band and later led his own jazz-rock group "Chase". He and most of his band were tragically killed in a plane crash. 2) Chase was also a Christian Metal group that put out a CD called "In Pursuit" about 1993/1994 on the label "SALT Inc Music." This Chase was made up of Scott Lowmaster (Rhythm Guitar and Lead Vocals), Virgil Burdic (Lead Guitar and Vocals), Ron Chase (Bass Guitar) and Jay Corey (Drums). 4) Jpop group featuring Saaya Irie, The jpop group is the artist of the song "CHASE ME!" 5) Chase is also a solo project of Chase Williams, North Idahoan guitarist. 6) Chase is also the stage name of Michael di Martino, a YouTube personality who performs stylised sign-language versions of current pop songs for the deaf community. Based in New York City, di Martino works as a sign language interpreter and has begun recording as a side project. 8) Chase is also an underground Australian Hip Hop artist/MC that has recently released an EP "Cut To The Chase" in March 2012 among his other album "Demographix" in Jan 2012 and "The Sik Symptons Sampler" in Jan 2006.